It appears that the Internal Revenue Service’s (“IRS”) Whistleblower Office is finally opening up to the idea of whistleblowers. According to an annual IRS report to Congress, the IRS Whistleblower Office paid out $103 million to whistleblowers in 2015, which is nearly double the $53 million the IRS paid to whistleblowers in 2014. In all, the whistleblower program has paid nearly $403 million to whistleblowers since its inception in 2006. “FY 2015 was a big year for awards under the Whistleblower Program, with 99 awards made to whistleblowers totaling more than $103 million before sequestration, which reduced the total payouts,” IRS Whistleblower Office director Lee D. Martin wrote. 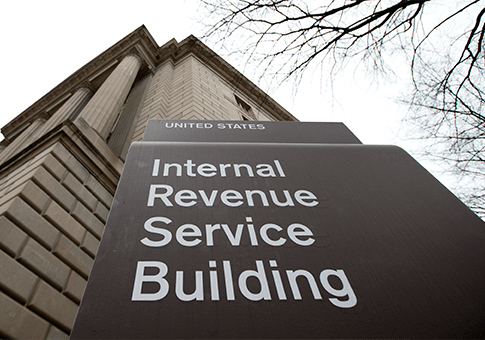 The IRS Whistleblower Office was established in 2006 via the Tax Relief and Health Care Act of 2006. Section 406 of the Act directed the Secretary of the Treasury to establish a Whistleblower Office in the IRS, and report to Congress annually on the whistleblower program. As part of the IRS whistleblower program, individuals who report wrongdoing are entitled to receive between 15 and 30 percent of the total amount recovered by the IRS, so long as the total recovery exceeds $2 million. The IRS whistleblower program was modeled after the wildly successful whistleblower provisions in the False Claims Act (“FCA”). While the number of whistleblower claims received by the IRS in 2015 declined by 17 percent from 2014, the total number of claims settled in 2015 represented a 27 percent increase from the previous year. Lee Martin said that the IRS is looking for ways to streamline the IRS whistleblower process in order to continue to encourage individuals to report suspected wrongdoing to the IRS Whistleblower Office. As part of its efforts to streamline the whistleblower process, the IRS initiated a program review of the Whistleblower Office to identify opportunities to maximize the efficiency and effectiveness of the whistleblower claim process. Once the review is completed and recommendations are finalized, Mr. Martin said the IRS will proceed with implementation of the program. Even still, Mr. Martin has acknowledged that certain steps in the whistleblower process cannot be short-circuited or circumvented. For instance, Mr. Martin said that the IRS cannot outright shorten the length of its whistleblower investigation because each investigation varies based on the complexity of the issues, taxpayer cooperation and documentation, and other factors that exist whether a whistleblower is involved or not. The IRS has also said that it intends to work better on educating whistleblowers about how to file proper whistleblower claims so that the IRS Whistleblower Office does not spend its time looking into claims that have little merit. In fact, the IRS says that thousands of the claims it receives each year are not actionable because the information provided by the whistleblower is not specific enough and oftentimes lacks credibility. In order to reduce the number of incomplete or non-actionable claims, the IRS Whistleblower Office has said that it is diligently working on updating and expanding upon educational materials that it says will provide “robust” details and insight into the best practices for submitting a successful whistleblower claim. Whistleblowers may be putting their careers at risk by coming forward with information, which is not an easy step to take. Providing whistleblowers with protection from retaliation by their employer would help make the IRS Whistleblower Program more effective and help bring to light additional violations of tax laws that may otherwise go undetected. . . When the whistleblower is an employee of the taxpayer, retaliation can take the form of a job-related action. In other cases, whistleblowers may face threats of physical harm or damage to economic interests. However, while current legislation regarding IRS whistleblowers fails to protect individuals from retaliation, IRS whistleblowers who disclose tax fraud or tax underpayment can seek protection under the Sarbanes-Oxley Act (“SOX”). Similarly, Section 922 of the Dodd-Frank Act can protect disclosures about tax fraud in that it encompasses disclosures protected under 18 U.S.C. Sec. 1513(e),which prohibits retaliation for a disclosure about the “commission or possible commission of any Federal offense.” As certain forms of tax evasion are criminal offenses, disclosures about tax avoidance schemes can be protected under the Dodd-Frank Act. The second shortcoming identified by the IRS in its report is that there is no effective sanction in place for whistleblowers who improperly disclose taxpayer information. This key shortcoming is related to one of the stronger recommendations highlighted in the report, which is to include whistleblowers in the investigative process by executing cooperation agreements. The IRS has generally been reticent to execute cooperation agreements, instead sticking by its policy to provide whistleblowers updates limited only to telling the whistleblower that claim is still open. This usually means that whistleblowers may not hear anything from the IRS for several years, and that the whistleblower will have no opportunity to provide the IRS with helpful information during its investigation. The 2015 report stated that the IRS recognizes the benefit of including whistleblowers in investigations, but that it intends to continue its policy until there is an effective sanction when a whistleblower obtains confidential information and chooses to release that information to the public. The uptick in the resolution of whistleblower claims in 201,5 when coupled with the nearly double amount of whistleblower awards, shows that the IRS Whistleblower program is not only committed to aggressively pursuing whistleblower claims, but that it fully intends to compensate those persons that blow the whistle on suspected wrongdoing. However, the report is also candid about what the IRS Whistleblower Office needs from Congress in order to make its program more effective and streamlined, and what the IRS itself can do to improve upon its whistleblower program. The IRS ultimately hopes that a streamlined procedural process in concert with greater legislative protections for whistleblowers and taxpayers alike will continue an already upward trend in award payouts, which will only encourage individuals to file more and more quality whistleblower claims.